Even if you have never attended an assessment design course or workshop, by following the new, step-by-step CFA 2.0 process you will be able to successfully create a quality set of assessments (pre-, post-, and quick progress checks) for a unit of study. And you can select one of three workshop options based on your prior experience to do so! The Common Formative Assessments 2.0 Professional Learning Workbook will guide you through each of the ten steps of the process. 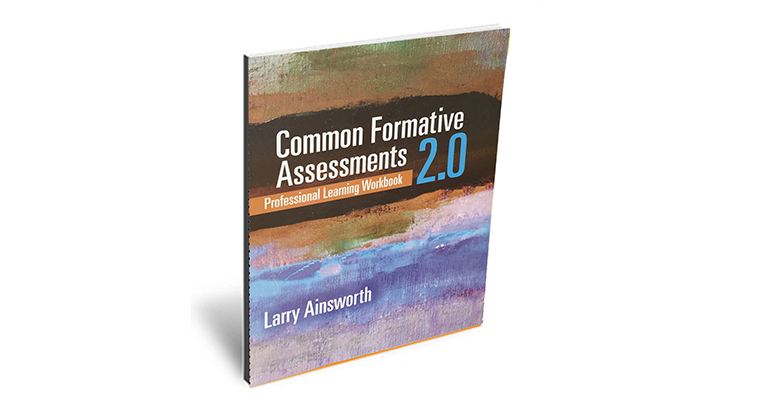 Its companion volume, the Common Formative Assessments 2.0 book, will help you deepen your understanding of key components while you are designing your CFA! For more information about bringing the Common Formative Assessments 2.0 Workshop to your school or district, please contact either Monique Corridori or Leticia Trower at Corwin. Their email addresses are Monique.Corridori@Corwin.com and Leticia.Trower@Corwin.com, respectively.